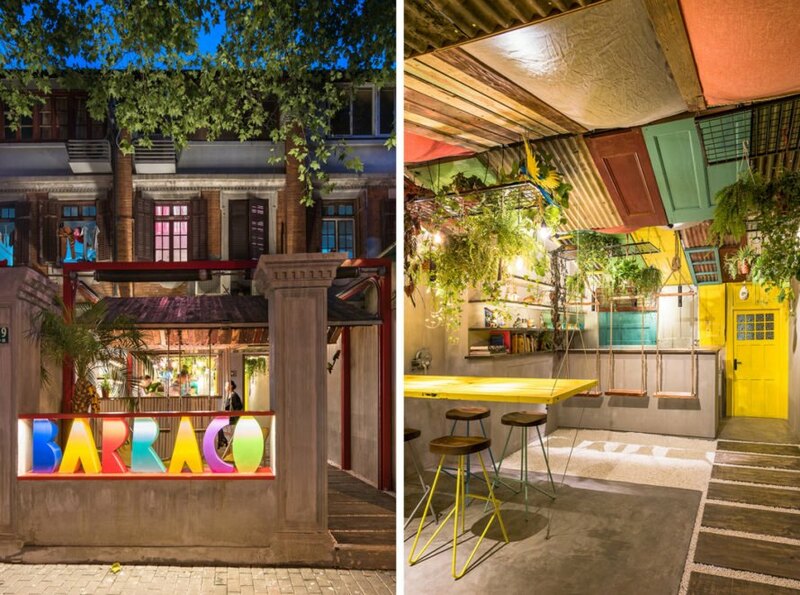 A playful piece of Brazil has popped up on the streets of Shanghai in the form of Barraco, a Brazilian-themed bar designed by local practice Quarta & Armando Architecture Design Research (Q&A) and built with reclaimed materials sourced from demolition sites across the city. 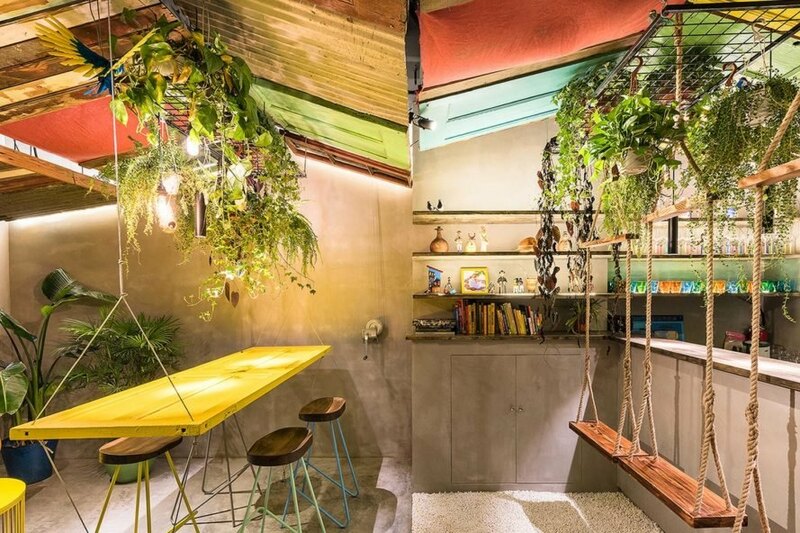 With ceilings constructed of colorful recycled doors and hanging swings used for bar seating, this whimsical hangout exudes a beach house feel with tropical drinks to match. The use of recycled and found materials also helps capture the “informal, messy and colorful atmosphere of tropical cities,” according to the architects. Slotted into a narrow rectangular site with a total area of 915 square feet, Barraco consists of an indoor bar and an outdoor bar protected beneath a large canopy. To keep the bars from descending into a confusing assortment of colors and textures, the designers grounded the project with a neutral background of bare concrete, timber and white gravel. 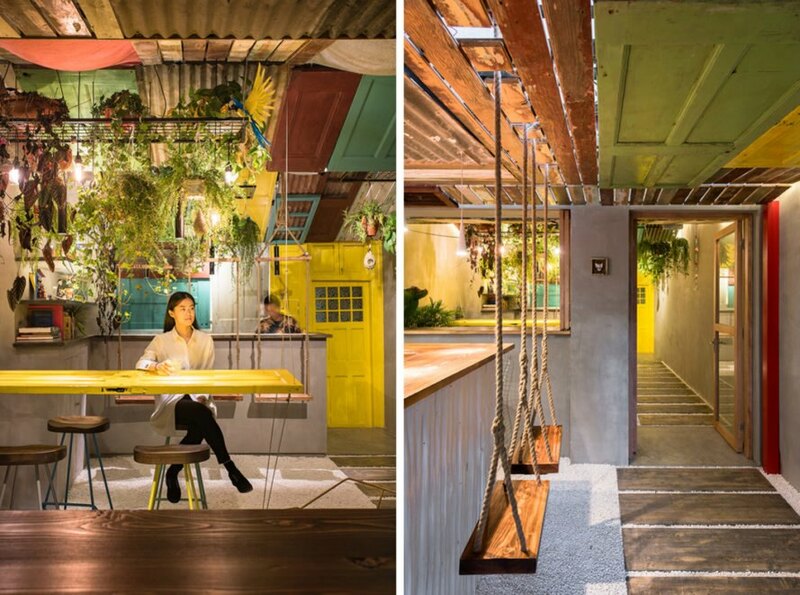 Against this muted palette the firm then layered a “controlled chaos” of hanging plants, multicolored furnishings, corrugated tin surfaces and driftwood-like swings that hang from the ceiling. “The double nature of materials and textures reflects a double nature of use: the more quiet, dimly lit indoor bar sets provides a quiet retreat for an afternoon coffee, while the outdoor bar with projecting canopy becomes a part of Shanghai’s active streets at night,” Q&A said in a project statement. 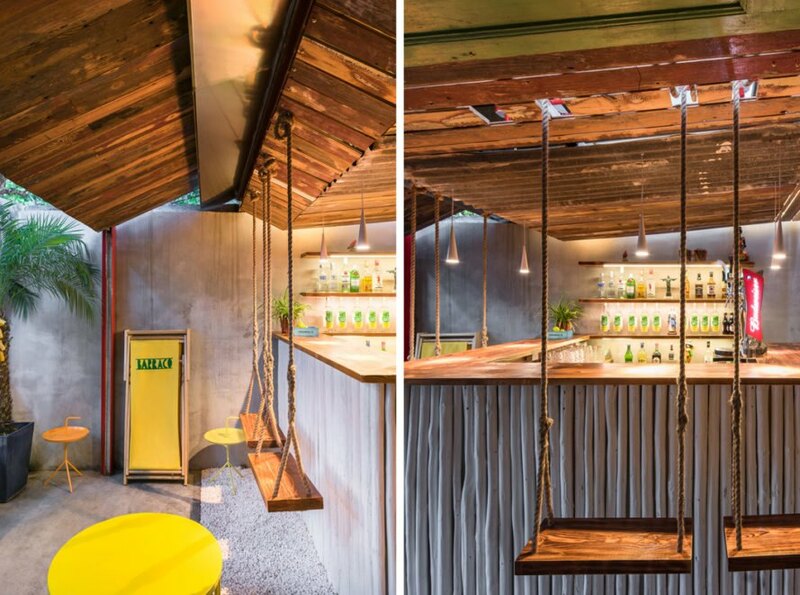 This whimsical bar in Shanghai gets its bright personality from recycled materials. Bright doors, window frames and more create a fun ceiling. The architects injected "controlled chaos" into the design. The bar offers both indoor and outdoor seating. It can also be reconfigured for larger parties. A look at the building plans. A look at the floor plans. A section view of the project.